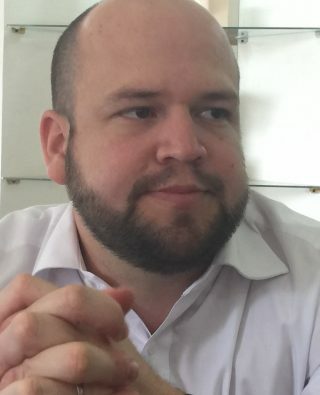 Jose Miguel Jimenez Mendez, a Costa Rican government agrochemist, wrote reports challenging the certification of Del Valle Verde Corp. businesses. SAN JOSE, Costa Rica — He’s been called an ignorant person and a bad civil servant, subjected to disciplinary hearings, suspended without pay and accused of embezzlement. You’d think that Jose Miguel Jimenez Mendez, an agrochemist with Costa Rica’s Ministry of Agriculture and Livestock, must rank high on his nation’s Most Wanted list. Yet Jimenez’s most heinous crime, his detractors say, was declaring some organic-labeled pineapples fake. 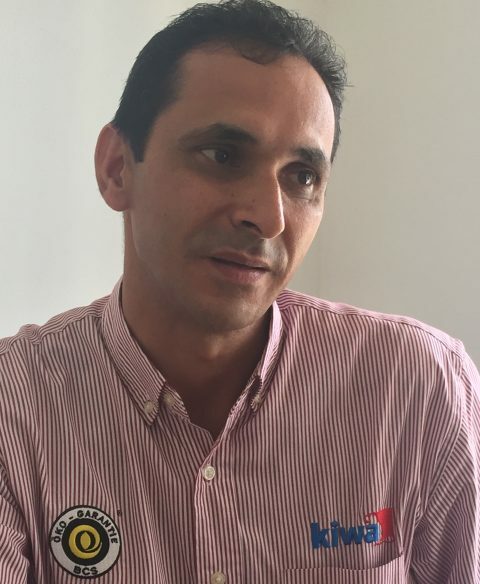 Jimenez, a government whistleblower, has endured official wrath and searing public criticism after accusing U.S. Department of Agriculture certifiers of improperly approving a Costa Rican pineapple company for organic production. The USDA trusted the accused certifiers to clear the company, and closed the case without directly investigating the evidence Jimenez presented. Yet Jimenez, 50, has refused to back down, even after his agency suspended him without pay and cleared two colleagues he accused of complicity. Jimenez’s boss tapped him in 2016 to investigate a suspicious surplus of organic pineapples. A top U.S. Department of Agriculture manager had alerted Costa Rican officials that somehow their country was exporting far more organic pineapples to the United States than its farms were certified to produce. Jimenez concluded that Del Valle Verde Corp., a large northern Costa Rica grower and processor, had illegally shipped containers that commingled organic and conventionally grown fruit. He described irregularities in Valle Verde’s farming operations, such as a lack of chemical tests and shifting sizes of plots transitioning to organic. But rather than being lauded as an example that the system worked, Jimenez was abandoned to face workplace reprisals and vitriol from a powerful agency-accredited certifier. 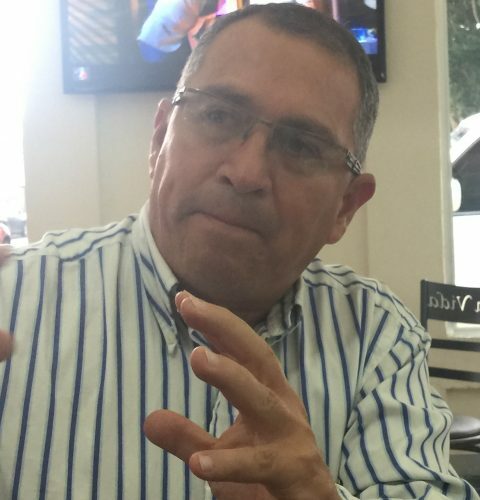 “Your irresponsible behavior as a public servant has been the source of much frustration for us,” wrote Humberto Gonzalez Guerrero, Kiwa’s Costa Rica director, who held the equivalent post at Primus when he first clashed with Jimenez. Gonzalez’s vehemence displays the extreme passion that can erupt in organic food fights and on the part of USDA-accredited certifiers. However, certifiers are paid not by the agency but by the businesses they inspect, with payment amounts that increase with the size of the operations they certify. A business gets to choose among certifiers on the USDA list, and to shop for a different inspector if results aren’t favorable. Jimenez, a 15-year agriculture ministry employee, is himself an international organic inspector of farms and processors. He has credentials from the Independent Organic Inspectors Association and the Mexican Association of Organic Inspectors. In two detailed reports totaling 1,500 pages, Jimenez found that Primus and Kiwa certified Valle Verde as organic despite numerous irregularities. In response, the agriculture ministry, and later Kiwa, suspended Valle Verde’s processing certification, but shelved Jimenez’s accusations concerning farming irregularities. Managers of Primus, an all-purpose industrial certifier that sold in 2015 and changed its name to Primus AuditingOps, did not respond to repeated requests for comment. Valle Verde’s owner, exporter and importer deny wrongdoing. Humberto Gonzalez Guerrero, director of the Costa Rican branch of an organic certifier that came under Jimenez’s scrutiny. So does Gonzales, the director of Kiwa’s Costa Rican branch. He stands by his certifications and fires back at Jimenez, saying the agrochemist has “absolutely no knowledge” of organic regulations. “I’m not risking 20 years of activity in this area just to favor somebody,” Gonzalez said. USDA officials rejected repeated interview requests from NerdWallet concerning organic regulation and enforcement, the pineapple case and the conduct of Gonzalez, who serves as one of the agency’s main deputies in Costa Rica. A NerdWallet investigation found that USDA officials did not contact Jimenez or directly investigate Valle Verde, Primus or Kiwa. Instead the USDA trusted the certifiers implicated by Jimenez to determine that Valle Verde had done nothing wrong. The USDA National Organic Program closed the pineapple case last summer. The decision disappointed Costa Rican organic farmers and Valle Verde competitors who said they had reported additional irregularities. The USDA’s inaction left Jimenez hanging. Gonzalez and Valle Verde business partners have appealed to Costa Rican news organizations to downplay Jimenez’s conclusions and focus attention on their complaints about him. They’ve accused him of conspiring with the pineapple company’s competitors to damage its business, a charge he denies. Valle Verde’s export partner filed a criminal complaint against Jimenez, accusing him of embezzlement, another accusation he denies. The alleged offense: misspending public money by arriving late at a conference while on government business in the United States. Jimenez said panel members never asked him to explain his findings in detail. They gave Valle Verde’s attorney the lead role in questioning witnesses at a hearing last year. Francisco Dall’Anese Alvarez assigned Jimenez to the investigation. “The truth is, Jimenez is an exemplary civil servant,” he says. Francisco Dall’Anese Alvarez, who as a top agriculture official originally assigned Jimenez to the case, praises the agrochemist and defends his findings. As growing controversy made headlines in Costa Rica this fall, Gonzalez abandoned any pretense of neutrality as a USDA certifying agent. He shopped a Valle Verde news release to the media and trained his ire on Dall’Anese. Jimenez’s opponents in the bureaucracy put him through disciplinary proceedings in September, saying he divulged confidential investigative information. He acknowledged sharing information, which he said was public, adding that he did so as his boss Dall’Anese instructed. Costa Rica’s agriculture minister suspended Jimenez in October for eight days without pay. How does Jimenez perceive the USDA, which closed the case without investigating either Valle Verde or the agency’s certifiers? Photos by Richard Read, NerdWallet.